To order, please request a quote or call 1-800-905-0936. FREE SHIPPING AND NO CORE CHARGE! 18 MONTHS/UNLIMITED HOURS PARTS AND LABOR NATIONWIDE LIMITED WARRANTY! Please call to confirm all product information. Your order can not be completed until this is done. Completely remanufactured back to factory specifications, up for auction is a REMAN 1996-2006 GM 350 5.7L MARINE ENGINE with a 18 MONTHS PARTS AND LABOR NATIONWIDE LIMITED WARRANTY. This engine will work in any 350 or 305 marine application in the same year span. Each engine core is hand picked and inspected to ensure a good strong block. We will never use an engine block that has been salt water cooled. Only the highest quality engine parts are used in an ADVANCED marine engine. Every engine will have 100% NEW marine camshafts, marine gasket set, new pistons, rings, bearings, valves, oil pump, brass freeze plugs, and marine timing sets. Hypereutectic pistons are used in every engine, when available, to help dissipate the internal heat better. Whether you order a long block or a sealed unit, your engine will come with the rest of the marine installation gasket set. and a new high pressure oil pump. All engines are built under stringent quality controls and tested on a computer SIM test after assembly. 300 HP, ctr. mnt. valve covers, 1 pc. rear seal, right side dipstick, carb. or F.I. FREE SHIPPING within the 48 continental United States to a business address. Shipping time is approximately 2-5 business days. Advanced Engine is committed to supplying World Class, defect free products on time that will meet or exceed customer expectation at competitive prices. We will achieve this through continuous improvement of our processes, services, and systems. QUALITY AND RELIABILITY YOU CAN COUNT ON! As owners of Advanced Engine Exchange in Louisville, KY, we have a combined experience of fifty plus years in the auto and marine engine business. 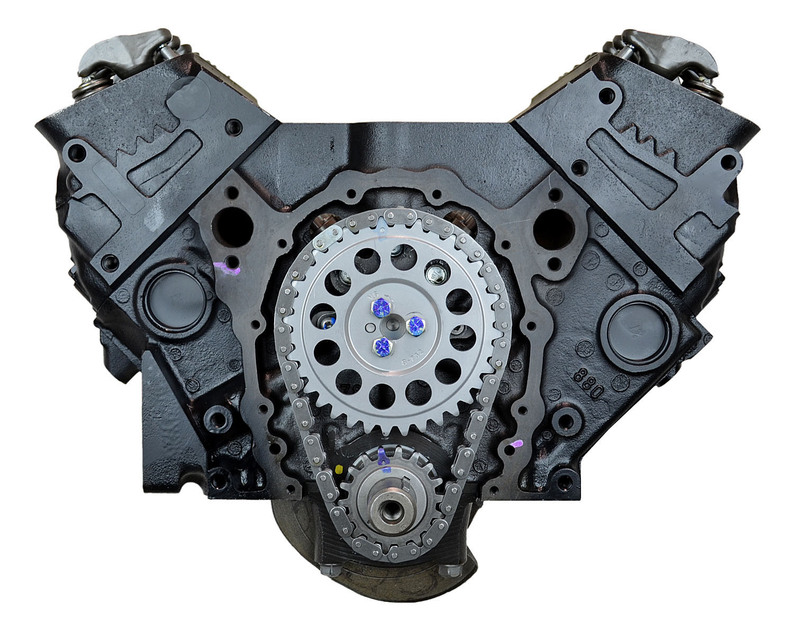 IF YOU NEED AN ENGINE THAT IS NOT LISTED FOR SALE, CALL AND LET US KNOW! WE HAVE OVER 1000 ENGINES IN STOCK!